When we look beyond his most offensive personal traits, which are in themselves the products and natural reflection of capitalist character structure: narcissism, bullying, tantrumped tweets, adolescent name calling, the dismissal of all those who do not support him, and the denigration and objectification not only of women, but of other human beings in general, we are able to see Donald Trump for what he is – the perfect leader forthe greatest Capitalistate the world has ever known. He is a business man and America is his current business. His foreign policy is determined by cost benefits analyses. If there is money to be made, he is willing to overlook any crime against humanity, ignore any injustice, minimize any moral malfeasance, in the name of profits. He makes no pretense, as liberals have done, that U.S. foreign policy is shaped by a desire to bring “democracy” to the world or improve the status of its humblest inhabitants. The hidden truth of America’s foreign policy – that the identification of who has and has not violated human rights, has always been defined by American’s economic interests, is no longer hidden under Trump. Neither does he pretend that brotherhood and cooperation with other nations is a priority for America under his leadership. In fact, it has never been. Any alliances America has made, any international cooperation it has brokered, have been in America’s interests. It is America that dictates the terms of cooperative agreements so that other nations join and cooperate in order to achieve goals set by and for America. Trump is contemptuous and distrustful of America’s alliances knowing that they are often bought and paid for, and hence, unprofitable. He views existing alliances as benefiting America’s allies who get a free ride off his country’s military power and take advantage of trade arrangements that are to America’s disadvantage. America’s greatness, in his eyes, comes from separating itself from these unprofitable alliances and pursuing its interests directly through a foreign policy of economic and military threats and bullying. Thus, he will renegotiate America’s relationships to other countries, so that neither loyalty nor shared values, but rather America’s economic and hegemonic interests prevail .America spends too much on NATO and so must spend less; America spends billions on Pakistan and gets no benefits in return and so that relationship must change; cutting back on greenhouse emissions and/or implementing policies to halt global warming are just not economically feasible and so are irrelevant. Military spending guarantees America market dominance and so is a necessary investment. However, unlike any other president that I can recall, Trump understands that too much money is spent on the military and seeks peace not for its own sake, but to cut back on American expenses. 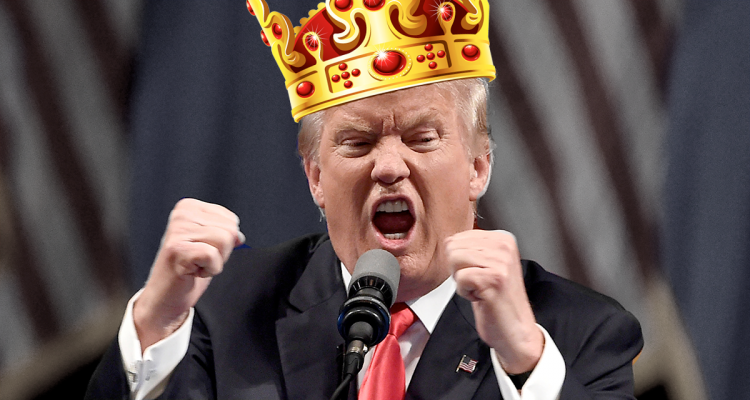 As regards Russia and China, he understands, that regardless of Russia’s military might or China’s economic might, it is his country which is the greatest military and economic power the world has ever known He uses that fact as a hammer to pressure and cower them before he sits down at the table with them to negotiate new deals. As for Russia, America had hoped to make money, lots and lots of it, in Russia immediately after the Soviet Union collapsed. It was after all, they who had brought about its collapse first, by feeling the never-ending arms race which drained the soviet economy, and then by sending their Harvard economists to rewrite economic policy, their political advisers to aid Yeltsin to a second victory in 1996. It was American banks, most notably Riggs Bank, which helped the money Yeltsin wanted and needed to get to him. All these things in anticipation of what? In anticipation of the fact that American companies would be able to step into a wide-open market and make money. It was Vladimir Putin who took back his country from them and hence, his villainization. Trump was obviously trying to put himself in a position to practice “the art of the deal” with Putin (and for this Trump may or may not be impeached and/or imprisoned) and gain access, both personal and national, to the Russian market that begs for development. Putin for his part, wants nothing more than the removal of tariffs and the economic development that his country so desperately needs. Trump would say of his meeting with Putin. “Our relationship has never been worse than it is now. … Nothing would be easier politically than to refuse to meet, to refuse to engage … I would rather take a political risk in pursuit of peace than to risk peace in pursuit of politics.” War might in fact be great for war profiteers, but it is not good for capitalism, which needs a peaceful world in order to expand and grow. The concessions he received at the recent G 20 meeting in Argentina are a testimony to his own touted prowess as a deal maker. China pledged to immediately invest over 100 billion dollars into US agriculture remove us auto tariffs. All this while the USA has not removed existing tariffs. Even while Xi was cutting his deal with Trump, the CFO of one of China’s most distinguished companies, Meng Wenzhou was being detained in Canada. She is accused of helping her company, Huawei, one of the world’s biggest makers of smartphones and networking equipment, dodge US sanctions on Iran. In 2016, the Commerce Department sought information regarding whether Huawei was possibly sending U.S. technology to Syria and North Korea as well as Iran. The U.S. previously banned ZTE Corp., a Huawei competitor, for violating a sanctions by engaging in transactions with Iran and North Korea.Senator Chris Van Hollen, a Maryland Democrat, said Wednesday night that Huawei and ZTE “are two sides of the same coin – Chinese telecommunications companies that represent a fundamental risk to American national security.” The U.S., which believes Huawei’s equipment can be used for spying, is contacting key allies including Germany, Italy and Japan, to get them to persuade companies in their countries to avoid using equipment from Huawei, the Wall Street Journal reported last week. Not only is Trump running a successful foreign policy based on business practices, he is also pursuing domestic economic policies which aim to enhance America’s productive power. His threats to American corporations that plan to shut down and move their plants overseas, and his rewards to those who keep their plants in the U.S. is aimed at rectifying the transfer of productive power to other countries. But if Trump is the perfect president of the perfect Capitali state, what does that say about his present and future relationship to the working-class, many of whom were responsible for his election? Well, nothing good. He has made a concerted effort to keep out illegal workers who have been used historically to keep wages low and job competition high. This has been a contributing factor in raising wages. He has promised both to bring back and keep jobs in America. He is working on that to be sure. The devil is in what he does not say or do for the American working class – he has never promised to bring back good, solid, union jobs – jobs that offered union won benefits such as job security, health care and pensions. It was the unions after all that cut into the “profits” of exactly those American industries that then fled to nations such as China where the wages were low and the profit margin high. It was ultimately, American Capitalism that brought China to the position it is in now-a position which threatens the supremacy of the United States. And it was ultimately this entire process which brought Donald Trump to power.